We have facilities to house your pet cat whilst you’re on holidays. 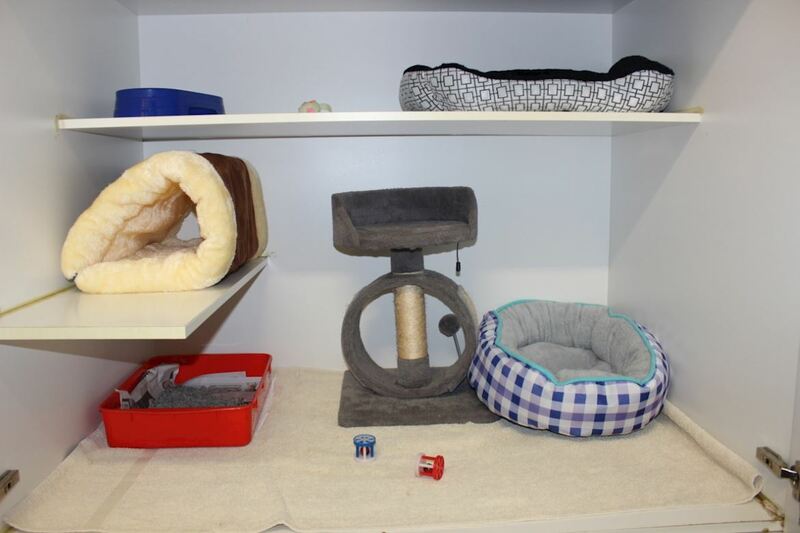 Our boarding facility provides your cat with a relaxed, calm atmosphere, created by having fewer animals and a design that minimises stress and allows maintenance of a high standard of hygiene. Our staff and veterinarians are fully qualified to administer medications as required by your cat. Boarding your cat with us gives you peace of mind so you can enjoy your holiday. We have large multi-tiered cat cages for our feline friends, some of which can be combined into double cages for extra room. Our feline boarders also have the bonus of being able to use our outdoor cat enclosure so they can stretch their legs and enjoy some time outdoors in the sun! Before considering whether to board your pet please check their vaccination records to make sure they have been vaccinated within the past 12 months. If your pet is due for a booster vaccination make sure this is done well ahead of the boarding period. You will need to bring your vaccination paperwork with you when you come. 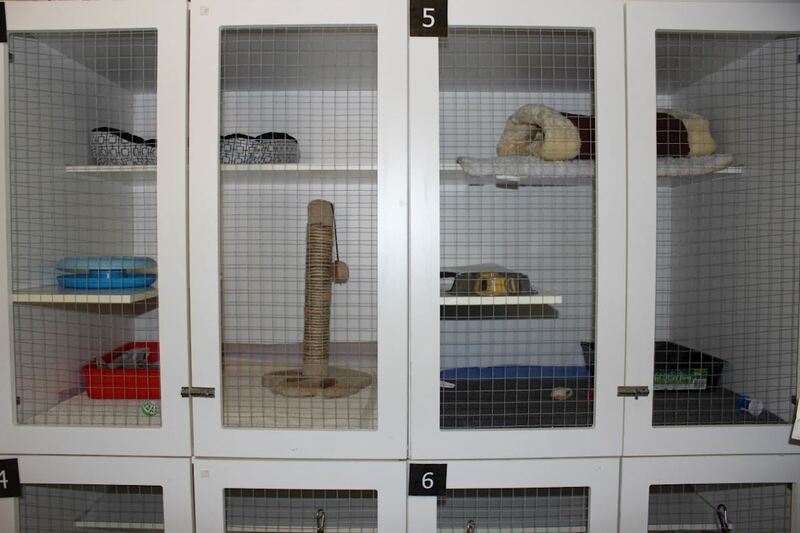 Our double cages sit side by side and (depending on the number of boarders) can be opened up on the inside via a flap so that your feline friend can have additional space.